Juicing cherries is a lot of work, because it takes many cherries to make a glass of juice. Plus each cherry needs to be pitted first. But there's nothing like fresh cherry juice. It's a rare treat that can only be enjoyed a few weeks out of the year. If you'd like to make things easier, just add cherries to another summer juice like melon. A few mint leaves make a great complement to a cherry juice mix as well. Note: Some people say you can juice cherries without removing the pits if you do them one at a time, but we don't recommend this. 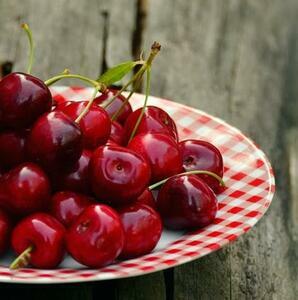 Compared to cherries, berries don't require difficult preparation. The problem with these fruits lies in the pulp and pectin content, which tend to create more of a puree than a juice. 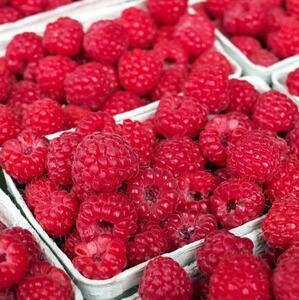 Plus you need a lot of berries because the juice to fiber ratio is lower than in other fruits. The solution is to add a handful of berries to your favorite juice. Berries have a strong flavor, and when mixed with a mild apple or melon juice you can really taste their flavors. They also add beautiful colors and valuable antioxidants. Peaches, apricots, plums, and nectarines. It's a common problem for people with fruit trees in their garden: what to do with all that fruit? Pitted fruits, like other soft summer fruits, tend to make a puree instead of a juice. This can be avoided somewhat by picking fruit while it is still firm - the juice to fiber ratio will be much higher. 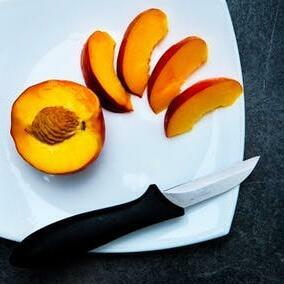 Among pitted fruits, firm nectarines produce the highest yield of juice. You can also mix these juices with higher-yielding produce like apples or carrots. Another way to juice them is using a fruit press, in which you put the fruit in a permeable cloth bag and press the juice from it with manual or hydraulic pressure. Finally, if you have a horizontal juicer with a homogenizing screen, you can do the "banana" method. Just homogenize your soft pitted fruit into a container, then blend that into your regular juice. Like with berries, a little goes a long way in nutrition and flavor. Centrifugal juicers, because of their large screens and high rpm, tend to struggle to produce any sort of worthwhile results from summer fruits as compared to slow-press juicers. Certainly you won't get anything but mashed fruit if you try to juice them by themselves in a centrifugal. However, you can add a few berries, cherries, or pitted fruit pieces to your regular juice. You will get a lot of pulp, but you'll also get the flavor and some nutrition. It works best with citrus, firm apples (like Granny Smith), or carrots.